Medical Cannabis And Cancer - How Does It Help To Heal Your Body? Cannabis is the collective name for a genus of plants belonging to the Cannabaceae family. As a rule, two species are distinguished within this group: Cannabis sativa and Cannabis indica. Some scientists mention a third one, Cannabis ruderalis, while other experts believe it’s just a subspecies of Cannabis sativa. For the sake of simplicity, throughout this article we will be referring to just the sativa and indica specimen. Hemp seed oil is extremely rich in such healthy nutrients as polyunsaturated fatty acids, proteins, dietary fibers, vitamins, and minerals. The active compounds of cannabis, called cannabinoids, are widely used for their vast therapeutic properties: from soothing pain and inflammation to relieving arthritis and acne. Cannabis fiber is used to produce paper, construction material, clothing, ropes, and even fuel. Since ancient times, cannabis has been valued for its psychoactive properties and used either to reach ”enlightenment” in religious practices or as a recreational drug. 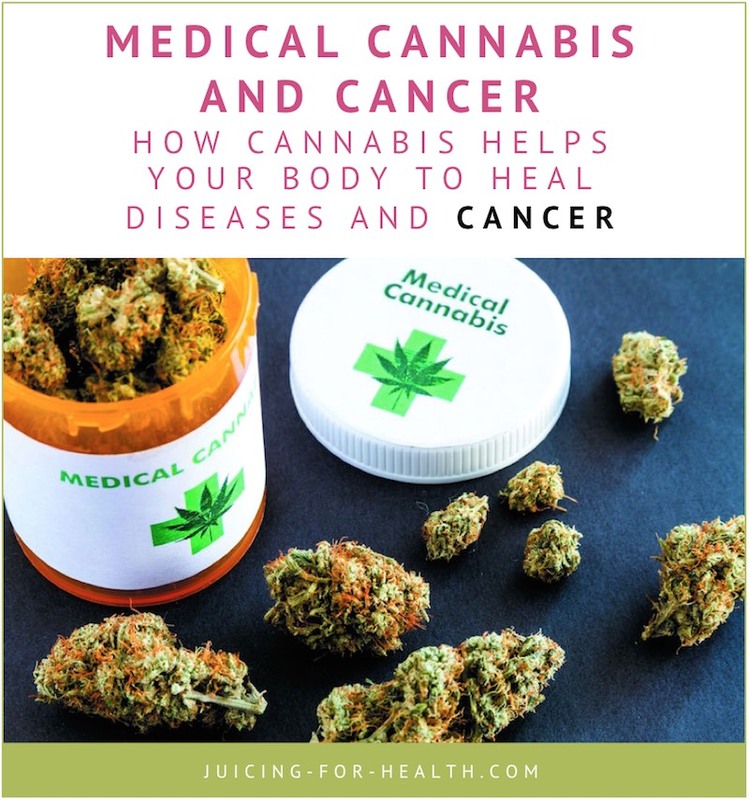 In this article, we are going to cover one of the most amazing aspects of cannabis use: its healing potential and anti-cancer properties specifically. How Does Cannabis Help Your Body To Heal? Let’s make this clear from the very beginning: the lion’s share of the cannabis healing properties have nothing to do with its psychoactive effect. In other words, you don’t have to ”get high” to reap the health benefits of cannabis. Yes, low doses of tetrahydrocannabinol (THC), the psychoactive component of cannabis, are effectively implemented in the conventional treatment of severe pain, chemo-related nausea and vomiting, muscle cramps, as well as impaired appetite in patients with HIV/AIDS. However, the non-psychoactive compounds found in cannabis aren’t less powerful than THC. On the contrary, sometimes their potential is much, much greater! Cannabidiol (CBD), a major constituent of cannabis, has no ”high” effect whatsoever, and yet provides a whole bunch of fabulous healing properties. Various terpenes, such as limonele, myrcene, and friedelin, have significant anti-inflammatory potential, relieve pain and reduce anxiety. Phenolic compounds, such as lignans, flavones and flavonols, are powerful antioxidants. Some of them are also converted in the gut microflora to estrogen precursors and thus can be used to treat hormone-dependent conditions and cancers. Basically, all of the substances mentioned above are what defines the fabulous healing potential of cannabis. Working on all aspects of one’s health (from hormonal balance to local inflammation), they support the body and help it fix all sorts of problems that may be troubling it—even those that might be absolutely silent at the time being. Perhaps, that’s why scientists all over the world have carried out more than 100 studies on the matter of cannabis against cancer throughout the last few decades. The exact ways in which cannabis fights cancer are very diverse. Some of them involve the endocannabinoid system, a complex of receptors and signaling molecules (endocannabinoids) in the human body. The latter have a very similar structure with cannabis compounds (cannabinoids), so both can interact with ECS receptors—resulting in such effects as pain relief, among others. Besides that, some cannabis compounds (like cannabidiol) have direct anti-cancer properties—they inhibit the growth and spread of numerous tumors, as well as induce cell death in existing cancer cells! Now, an important thing to remember is that the vast majority of available scientific evidence we have on the matter of cannabis and cancer comes from lab and animal studies, and not from clinical trials. In layman terms, this means that cannabis compounds are very likely to kill cancer in real, living people, but there are little to no studies confirming that at the moment. However, there is plenty of data pointing out that cannabis does a great job in helping with chemo-induced nausea, vomiting, persisting pain, anxiety, and depression in cancer patients. In other words, there are many confirmed cannabis benefits for anyone battling cancer, and there’s a good chance that it could even directly kill the tumor as well. So, how do you take it? There are quite a few available options of cannabis products to choose from. Let’s take a quick look at the most popular of them! As the name implies, this is pure oil pressed from cannabis flowers. It can contain either THC (the psychoactive component of cannabis), CBD (the main non-psychoactive healing component of cannabis), or both of these in different proportions. It’s important to check the manufacturer’s label, just to be sure of the effects you can expect from your oil. For pure healing without the high, opt for pure CBD oil without any THC whatsoever. Cannabis tinctures are made by extracting the plant’s compounds using high-grade alcohol. If you’re into some herbal DIY, you can even prepare it at home! As a rule, cannabis tinctures contain both CBD and THC in high amounts, so they may not be the best option for healing purposes. On the other hand, they start working quite fast and usually require just a few drops to start working. Both options are manufactured in specialized facilities, so may have a different content of CBD and THC. Sprays and mists are easy to carry with you and convenient to use whenever needed. Basically, these are the same as cannabis oil—just inside capsules. The only difference is in the convenience of usage and accuracy of dosage taken. Vaping has become a huge thing over the last decade, and the cannabis industry (both recreational and healing) couldn’t just leave it aside. Different manufacturers started producing special cannabis oil cartridges that you can attach to a vaping device and puff away—each with its own taste and cannabinoid content. The only important thing to remember here is that you cannot just put cannabis oil directly into vaping devices, as this could damage the latter. Special cartridges are absolutely required. The pain-killing and anti-inflammatory properties of cannabis compounds make them great ingredients for topical preparations. Cannabis creams applied to the skin easily reach the underlying muscles, tendons, and joints providing local relief without systemic action. This type of cannabis product is great to treat such conditions as arthritis. Sometimes referred to as cannabis-infused foods, these are pretty much what you’d expect from the name. Cakes, cookies, brownies, different drinks—all of these are widely used, but mainly for recreational purposes. This is mainly because it is almost impossible to properly calculate the dosage that you’ll be eating or drinking, which isn’t a good option for healing. Is Cannabis Legal In The USA and Canada? The possession and use of cannabis remain a highly controversial topic worldwide, so the matter of legality varies greatly from one region to another. There is a limit of allowed possession in each state, so make sure to check your local laws to be sure you’re in the safe zone. As for Canada, cannabis is legal country-wide from October 17, 2018. 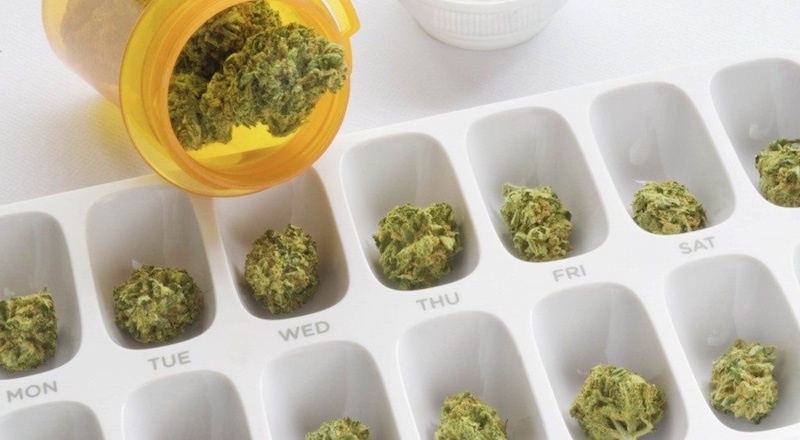 How Can You Get Medical Cannabis? If you qualify for the local program, you can get medical cannabis from a local drugstore using a prescription from your doctor. Now, these are prescription products, but there are a lot of non-prescription options available from local sellers and manufacturers, as well as online stores. If you are in a state where the use of cannabis is legal, there should be plenty of options to choose from. Just make sure to carefully read the ingredients label for THC/CBD content and check out the customer reviews to be sure of the product’s quality. The use of cannabis for medical purposes is incredibly promising, especially when it comes to the matter of battling cancer. Dozens and dozens of studies have confirmed that it has direct cancer-killing properties, inhibits the growth and spread of the tumor cells, relieves pain and inflammation, and even attenuates chemo-related nausea. However, keep in mind that there are all sorts of cannabis-infused products out there, each with its own THC content. If you’d prefer avoiding the famous ”high” associated with this plant, stay away from this compound and opt for CBD instead.